I'm very excited about this giveaway. A while ago i came across SteamDesigns and i was amazed. They're so different to anything i've seen. You wouldn't think you could get this amount of beauty out of an everyday object. 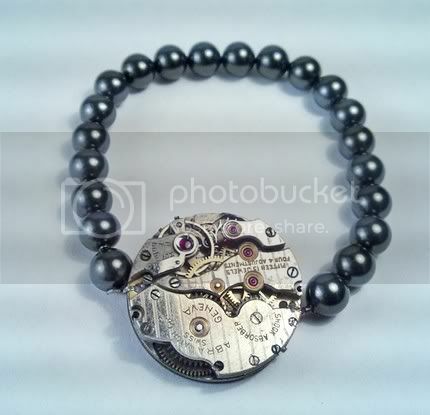 I've been obsessed with pocket watches and i've once taken one apart to see the 'workings' but never to this extent. What: Steampunk as a whole is a subculture. The generally accepted idea is a future from a different past. 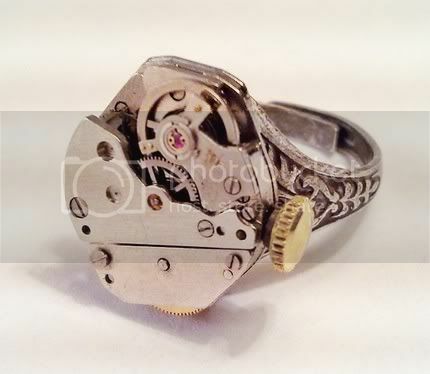 Steampunk jewelry within the subculture is jewelry with a gear, cog or mechanical theme and often Victorian themed. Why: my girlfriend and I were frequently visiting any market that was close to us. At one particular market stashed away in a tiny town in the hills, I came across a jewelry who had fantastically mind bending jewelry. "What is this?" I asked her. She replied "It's Steampunk". I was overwhelmed by the detail in this amazing jewelry from the moment I saw it, but had never heard of Steampunk before. Returning home that night I goggled the term "Steampunk". 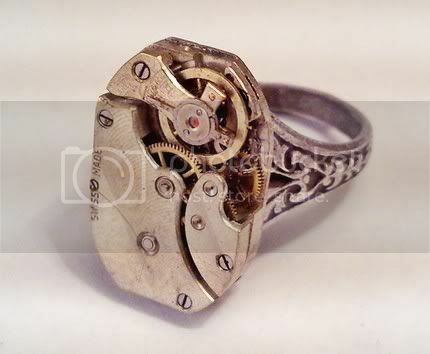 I was shocked to discover so many Steampunk themed jewelry. 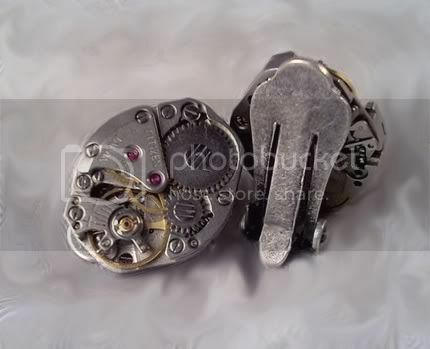 I was so drawn to the little watch movements, it wasn't long before I was searching trash and treasure markets and all the corners of the web for my own supplies to begin creating the works of art I was so thrilled with. Where: The supplies for my jewelry literally come from all corners of the world. Many of the pieces vintage and having already served a life time as some thing different. They are taken apart and recreated, given new life and purpose. How: Once all my supplies have found there way to my work bench I go about piecing together what will be the final piece. I always keep in my mind that simple is best. I try not to overwhelm any individual jewelry piece. I try to let the vintage cogs, gears and metals speak for themselves as each of them present there own story often in very different ways. I could stare at this ring for hours, it's hypnotising. 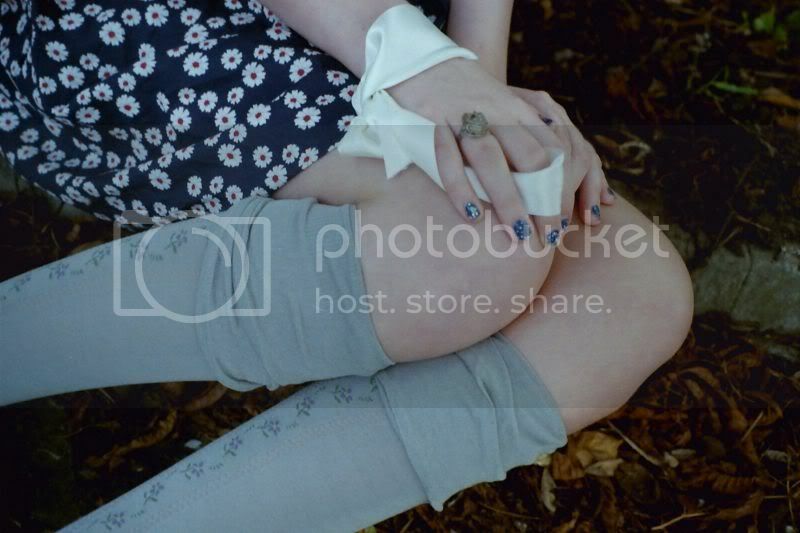 There are so many little details. Look out for that email.